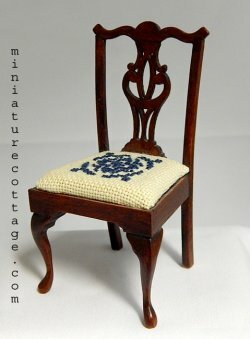 This is a set of four chairs that I am selling for the needlework on the seats. Two of them are in good shape...two are not....but the needlework on them is fine. The picture show one of the two good chairs..one of the bad chairs has a handcarved leg and the other has a place on the wood back that was not fitted correctly. This is "As IS!"